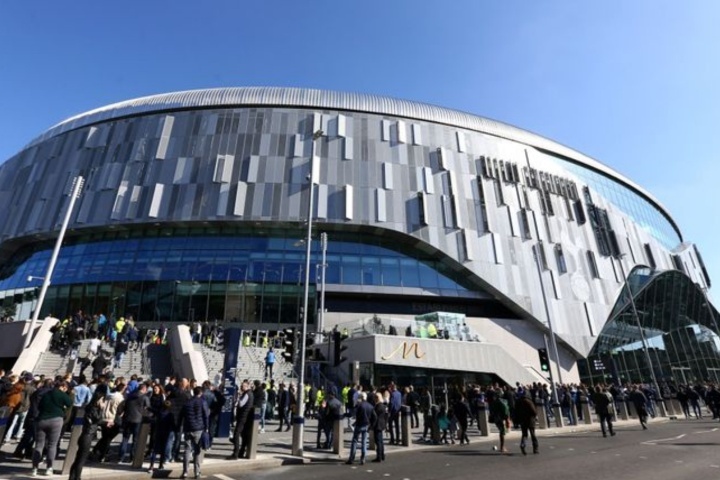 After almost two seasons of calling Wembley home, Tottenham Hotspur will finally play their first official game at their new ground on Wednesday 3rd April, hosting Crystal Palace in the Premier League. The Tottenham Hotspur Stadium is jam-packed with endless aesthetic pleasures, from the revolutionary to the retro. The picturesque exterior to the sweeping curves of the stands, the stadium is a spectacular addition to the country's capital. 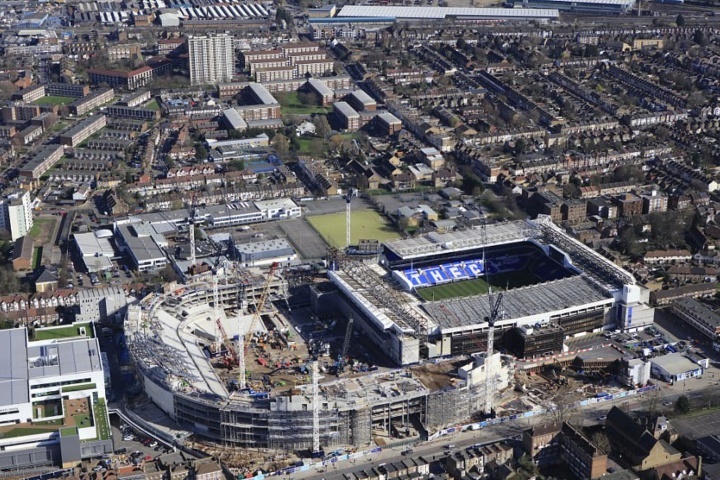 Planning permission was submitted in 2009 for the new stadium, but it wasn't until 2015 that the various hurdles were cleared and construction could finally begin. The opening fixture may have been delayed, but it's safe to say it'll be worth the wait! Let's start with the largest statistic, the capacity. It was originally proposed that the stadium would hold 58,000, but the capacity gradually increased as the plans evolved. 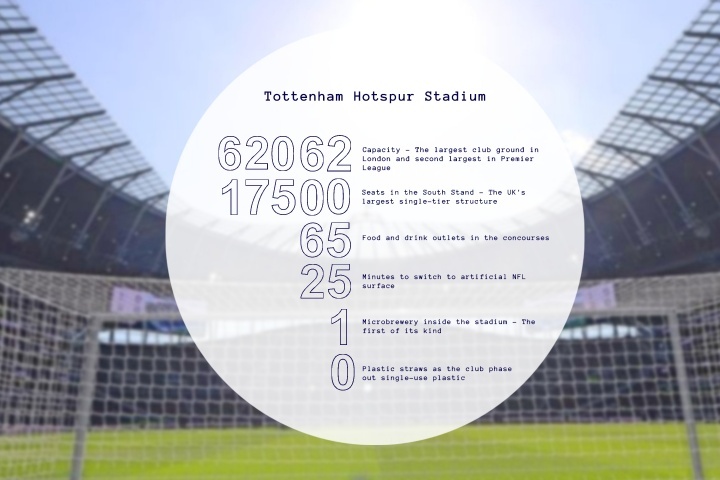 The final capacity was confirmed last year as 62,062 - a considerable increase on White Hart Lane's 36,284. The stadium will become the seventh biggest in the United Kingdom, and the second largest in the Premier League, behind Old Trafford. Now onto the playing surface (not just one pitch, but two!). 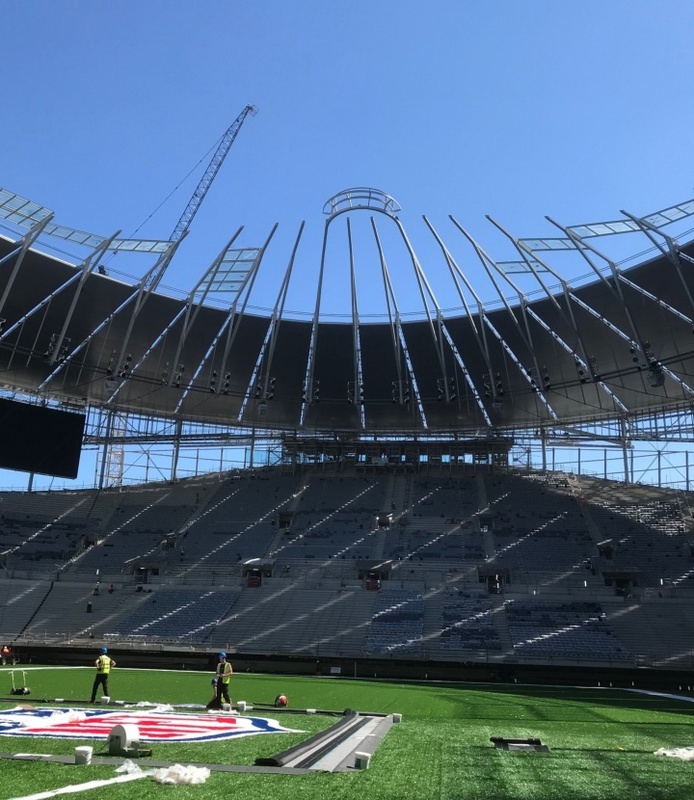 The stadium will be the first of its kind in the United Kingdom to have two pitches inside the same bowl. The retractable, natural turf surface splits into three pitch-long steel trays. When the trays slide together, the join is invisible and imperceptible to the players. So, when did Harrod Sport get involved? 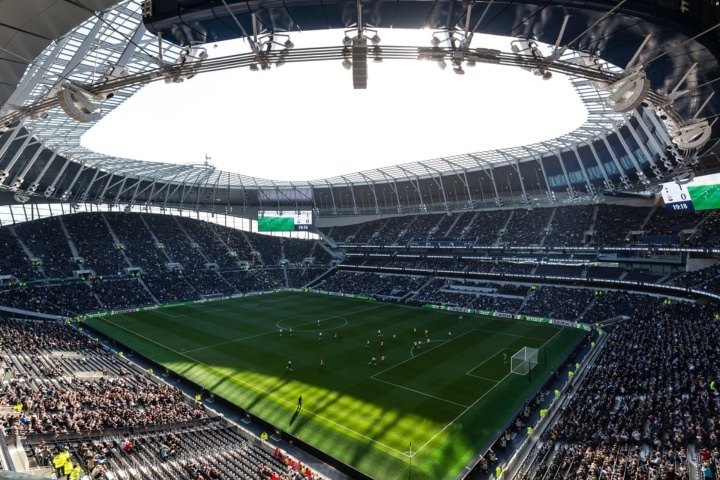 Harrod Sport and Tottenham Hotspur have a 25-year strong relationship, and with the obstacles surrounding Football, American Football and Rugby all being played at the stadium, it was important for Harrod Sport's involvement in the early stages. So just how much went on behind the scenes with the design of the second largest stadium in the Premier League? 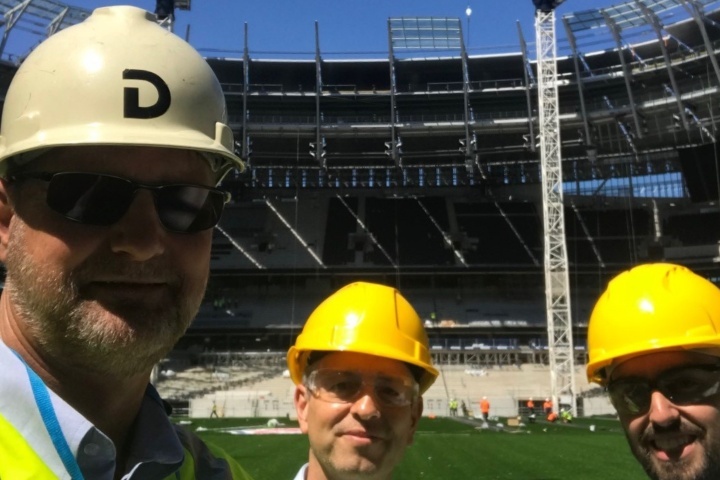 In October 2017, Mark Smith, Design Manager at Harrod Sport and Sales Manager, John Robinson met with the design engineers, the principal pitch contractor and Tottenham Hotspur's Head of Playing Surfaces. The physical workings of Spurs state of the art, retractable pitch were viewed and discussed. The challenges faced as a company were extensive. Football and Rugby, both on a 0.5m deep framework pitch consisting of thousands of tonnes of steel framework! A challenge that Harrod Sport were excited and honoured to take head-on and deliver. 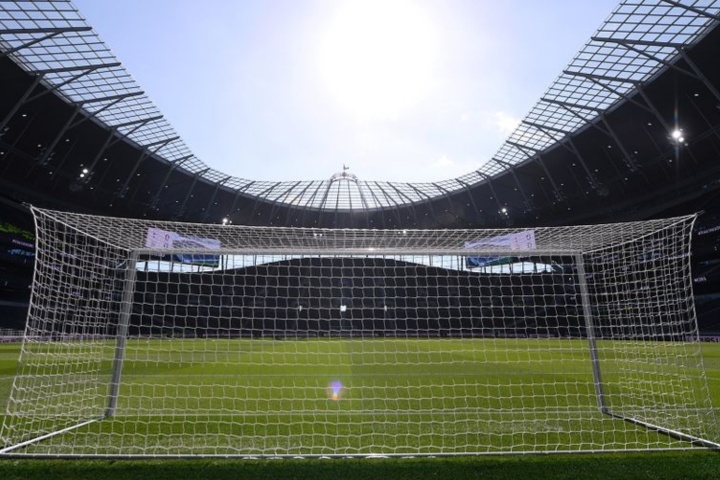 The distance between the single tier and the goal line is just five metres - meaning fans will be closer to the action than at any other newly developed Premier League stadium. This resulted in the pitch having a dramatically angled run-off. Due to this, advice was needed on net support locations to meet Tottenham's net requirements with bespoke runback depths. The sockets were set into the steel framework and the run-off required specialist net supports to fit. Because of the angled run off, bespoke PVC foam wedges were also designed for the rear of the warm-up goals to sit on to create a level surface. Did you know that Harrod Sport are the suppliers of the bespoke Stadium Pro Football Goals to prestigious stadiums across the world? Learn more about Harrod Sport here.